Happy FALL, y'all! Jivey here! It has been a hot minute since I blogged here at the Primary Peach! 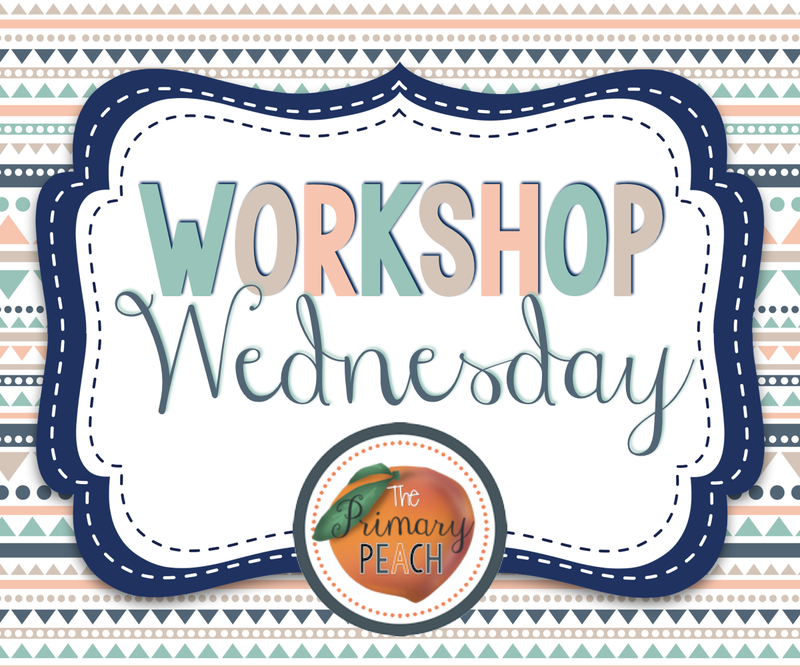 I'm bringing you some Workshop Wednesday love... Primary Peach authors focus on reading and writing workshop on Wednesdays... but if you know me, you know I LOVE some content integration. If I can weave in some science or social studies too, I will! So I've got a reading/social studies lesson to share with you today! 4th grade teachers in Georgia, I know you are (or will be) teaching all about explorers. I've got a great freebie for you! And even if you are not a Fourth Grade Peach or don't teach about explorers, you might be talking about Christopher Columbus soon with his holiday coming up. 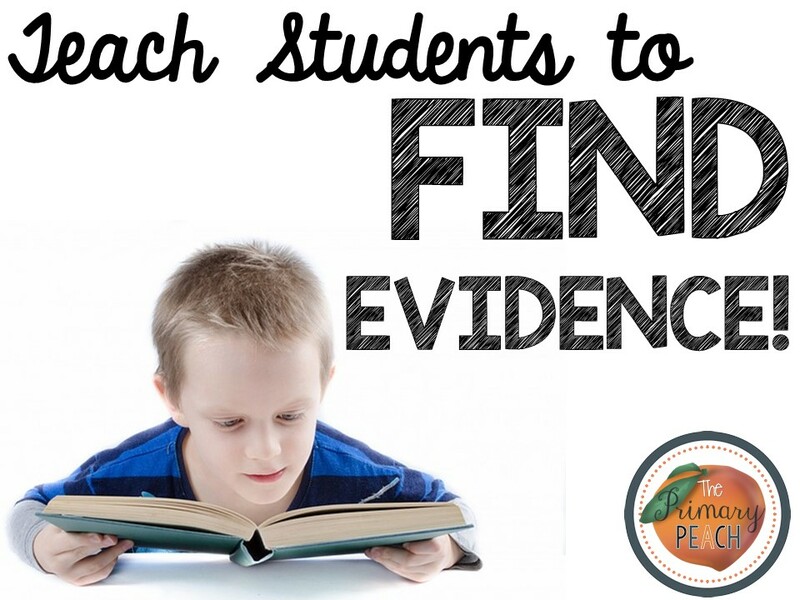 One thing students seem to struggle with is going back into the text to find evidence. Sometimes it's because we don't give them enough practice... and let's face it, sometimes it's because they are lazy. LOL! It is important to scaffold when teaching this skill until they really get the hang of it. (Do it with them, provide graphic organizers, etc.) 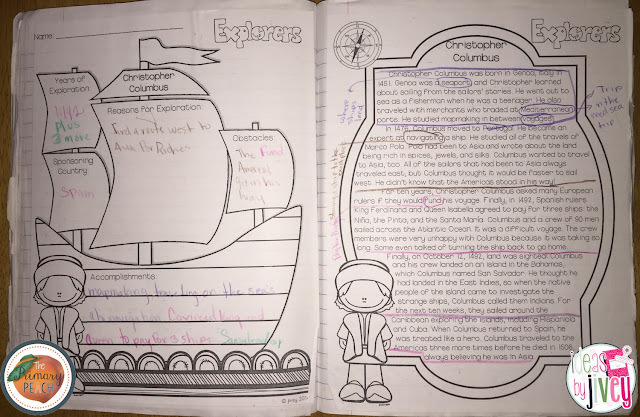 In this Columbus activity, students will read about Christopher Columbus and then go back into the text to find evidence to show his years of exploration, reasons he explored, obstacles he encountered, accomplishments, and the country that sponsored his voyage. Keep these tips in mind as you guide students to find evidence in a text! 1. Some of the evidence will come from multiple paragraphs, so showing them that they have to continually read and re-read and KEEP reading is important to help students find evidence! 2. Give students the reason or purpose they need to look back at the text (questions or graphic organizers). 3. Show students how to pay attention to key words, such as "difficult" when looking for obstacles. 4. Talk through it TOGETHER. Students need to understand the thinking process for when it's time to do it on their own. 5. Did I mention re-reading?? If you do teach about explorers, I have a whole pack with articles and graphic organizers just like this one, plus other activities! You can check that out here. Thanks for visiting today! For even more ideas from The Primary Peach, be sure to follow us on Instagram, Pinterest, and Facebook to catch all the latest news and updates! Thanks for the Columbus freebie. This will fit into my explorer unit perfectly. Enjoy your year. I'm so glad to hear that! I hope you enjoyed it!